← 09.03.2015: I’ve got Personality! The global event that has been six years in the making! 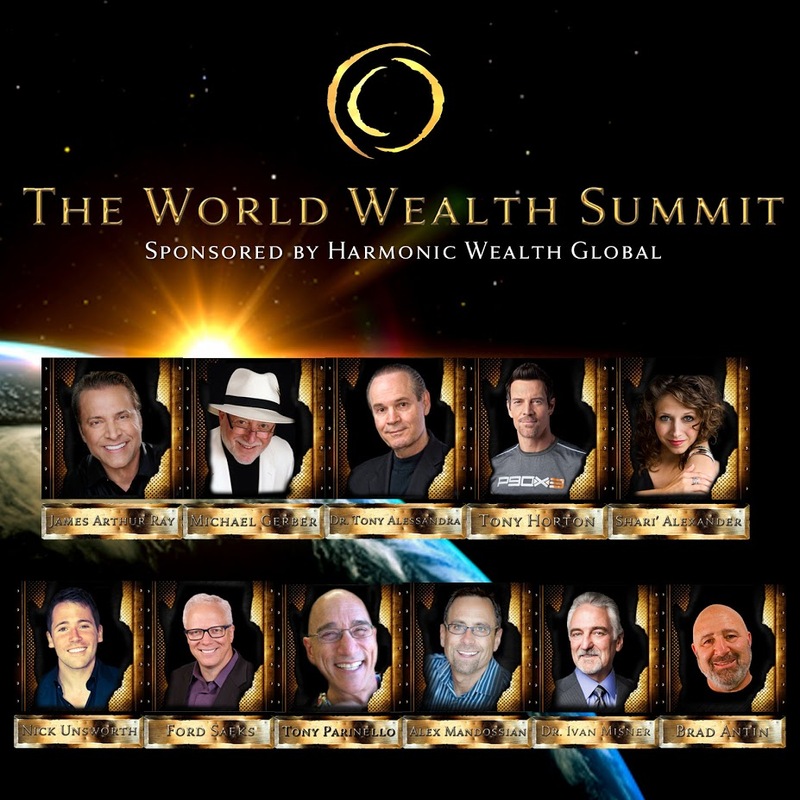 Eleven of the world’s leading entrepreneurs and coaches reveal how to grow your business, explode your income, and create the life of your dreams without working 16 hours a day, burning out, and sacrificing life for work! Tune in to The Unleashed Radio hour this Thursday from 10am-11am (CST) on Business 1110am KTEK (streaming live at www.UnleashedRadioHour.com) as our guests, James Arthur Ray, a NYT bestselling author of Harmonic Wealth, published in 81 countries around the world and translated into 18 languages joins us to talk about The World Wealth Summit. James is also co-author of the groundbreaking book and film, The Secret. His experience as an entrepreneur earned his company a spot on the Inc. 500 list in 2009 as one of the fastest growing companies in the U.S. James has been featured on The Oprah Winfrey Show, CNNs Larry King Live, Piers Morgan Live, Good Morning America, The Today Show and many more internationally syndicated shows. This entry was posted in Awareness, Book Club, Coaching, Entrepreneurs, Leadership, Vision, Wealth and tagged bestselling author, Book Club, Career Planning, Coaching, Entrepreneurs, Interview, Leadership, Outreach, Purpose, Success, Vision. Bookmark the permalink.